*Does NOT apply to Avaya 54xx series phones, which require 4-conductor. Cisco 12' coiled handset cords (12' is the standard length shipped new with Cisco phones). Cisco 25' coiled handset cords. Cisco 7' coiled handset cords. 6 ft quick disconnect coil cord. Commonly used with Polycom, Shoretel, Mitel, and many other makes of desk phone. Quick disconnect. 6 ft quick disconnect coil cord. Commonly used with Polycom, Shoretel, Mitel, and many other makes of desk phone. Quick disconnect. 6 ft quick disconnect coil cord. Commonly used with Polycom, Shoretel, Mitel, and many other makes of desk phone. Quick disconnect. 6 ft quick disconnect coil cord. Commonly used with many Avaya, Grandstream and Snom desk phones (additional amplification may be required). Quick disconnect. 6 ft quick disconnect coil cord. Commonly used with many Avaya, Grandstream and Snom desk phones (additional amplification may be required). Quick disconnect. 6 ft quick disconnect coil cord. Commonly used with many Avaya, Grandstream and Snom desk phones (additional amplification may be required). Quick disconnect. 6 ft quick disconnect coil cord. Commonly used with many Cisco desk phones. Quick Disconnect. 6 ft quick disconnect coil cord. Commonly used with many Cisco desk phones. Quick Disconnect. 3.5mm 4-pole plug lower cord.Quick Disconnect. 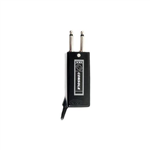 10" (26cm) 2.5 mm right-angle TRS plug for most cordless or mobile phones with headset jack. Cord extends to 23". Quick disconnect. 2.5 mm right-angle TRS plug for most cordless or mobile phones with headset jack. Cord extends to 23". Quick disconnect. 2.5 mm right-angle TRRS plug for Cisco 792x IP phones and Nokia cell phones. Cord extends to 23". Quick disconnect. 2.5 mm right-angle TRRS plug for Cisco 792x IP phones and Nokia cell phones. Cord extends to 23". Quick disconnect. middle), to reduce stress and minimize repairs..
For two-prong telephones, choose the VXi Console Amplifier. As easy to set up as it is to use, the VXi Console Amplifier gives you just the features you need, like transmit (microphone) and receive (speaker) volume controls. Uniquely designed, our Console Amplifier's headset cord is offset (attached to the side of the amplifier, rather than in the middle), to reduce stress and minimize repairs.. For two-prong telephones, choose the VXi Console Amplifier. As easy to set up as it is to use, the VXi Console Amplifier gives you just the features you need, like transmit (microphone) and receive (speaker) volume controls. Uniquely designed, our Console Amplifier's headset cord is offset (attached to the side of the amplifier, rather than in the middle), to reduce stress and minimize repairs.. The one-piece solution that replaces both the audio booster and adapter cable, OmniCord simplifies headset setup for virtually all telephone systems. Just plug the standard RJ9 connector into your phone's headset port and connect the Quick Disconnect (QD) to your headset. Set the three-position compatibility switch and the microphone volume, and you're in business. The one-piece solution that replaces both the audio booster and adapter cable, OmniCord simplifies headset setup for virtually all telephone systems. Just plug the standard RJ9 connector into your phone's headset port and connect the Quick Disconnect (QD) to your headset. Set the three-position compatibility switch and the microphone volume, and you're in business. The one-piece solution that replaces both the audio booster and adapter cable, OmniCord simplifies headset setup for virtually all telephone systems. Just plug the standard RJ9 connector into your phone's headset port and connect the Quick Disconnect (QD) to your headset. Set the three-position compatibility switch and the microphone volume, and you're in business. 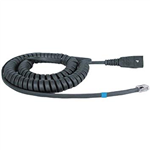 VXi QD-1000 V Extension Cord - 10-foot extension cord for quick disconnect model headsets. 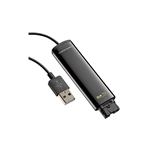 Compatible with VXi V-Series headsets, the QD 1000's 10 extra feet of cord gives you greater mobility. Connects two headsets to the same amplifier or phone for training purposes. Connects two headsets to the same amplifier or phone for training purposes. Connects two headsets to the same amplifier or phone for training purposes. Provides a convenient 24 port modular cross-connect field for equipment with 25 pair female amphenol connector input. Nortel 12' coiled handset cords, available in ash, black, charcoal, gray, and platinum colors. Nortel 25' coiled handset cords, available in ash, black, charcoal, gray, and platinum colors. 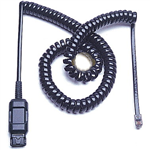 Nortel 7' coiled handset cords, available in ash, black, charcoal, gray, and platinum colors. Replacement line cord, compatible with M2000, M3900, M5000, M6000, M7000, T7000, M8000, and M9000 series phones. Replacement line cord, compatible with M2000, M3900, M5000, M6000, M7000, T7000, M8000, and M9000 series phones. 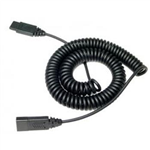 Replacement line cord, compatible with M2000, M3900, M5000, M6000, M7000, T7000, M8000, and M9000 series phones. Kit allows you to use a normal telephone handset with your Nortel Meridian Attendant's Console (for M1250 or M2250). This the replacement clothing clip for the Plantronics Supra and Starset headsets. USB audio processor that connects QD equipped headsets to PC. USB audio processor that connects QD equipped headsets to PC. A Plantronics EHS adapter allows you to remotely answer and end calls from your headset. Use this HIS cord to connect any Plantronics H-series headset directly to your Avaya 96xx and 16xx series IP telephone headset port. Amplifier with plug-prong adapter for console and dispatch units. Fits all H series headsets. Amplifier with plug-prong adapter for console and dispatch units. Fits all H series headsets. Cherry Red 25ft Handset Cord Cherry Red 7ft Handset Cord The Plantronics WTA-Q6 allows you to use a 2.5mm headset with your Qualcomm 860/1960/2760 series phone.